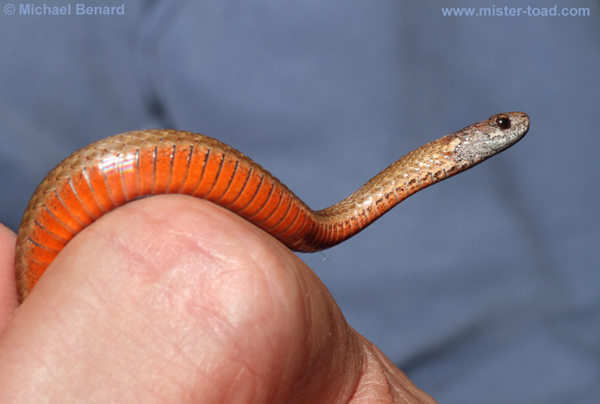 These attractive little red-bellied snakes (Storeria occipitomaculata) were found under some rocks right where an open field meets the edge of the forest. 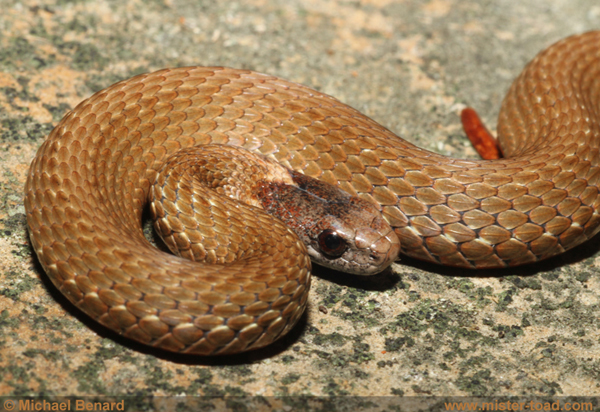 These snakes are closely related to the brown snake (Storeria dekayi), and may sometimes be mistaken for small garter snakes. 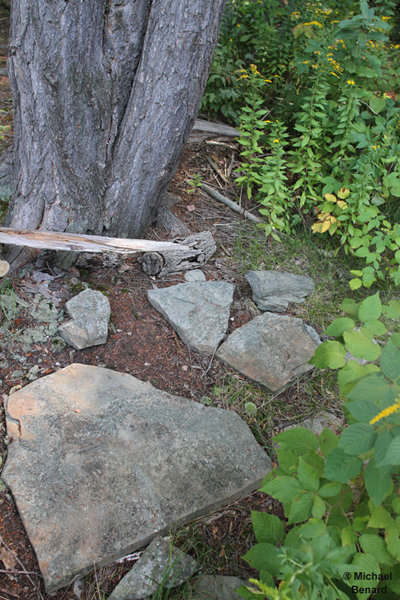 Here is a shot of the habitat. Under some of the same rocks were ringneck snakes.